The exciting Women's World Team Chess begins in Astana, Kazakhstan, on March 2. 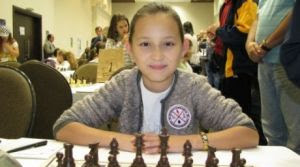 Here is a talented chess player from the host country. Click on photo to check your answer.